One thing that strikes our mind when we hear Hyderabad is Biryani. But the city of Nizams has much more to offer than just a type of food. Hyderabad holds several stories of our history, which had a massive impact on our country. What we witness in India as culture, ethnicity, and heritage is inclusive of Hyderabad too. Hyderabad is located in the Southern Part of the country. The distance of Hyderabad from Delhi is 1547km from Road and 1565km from the train. People can reach there through flights as well. The city was founded by Muhammad Quli Qutb Shah in the year 1591. It remained under the same dynasty for about a century before the Mughals took over through war. It was then under the viceroy Asif Jah in the year 1724 the city came to be known as the princely state of Nizams. And it remained so during the British rule for 150 years. In the year 1948, post India’s independence the Iron man of India Sardar Vallabh Bhai Patel worked on merging the independent state in the country. 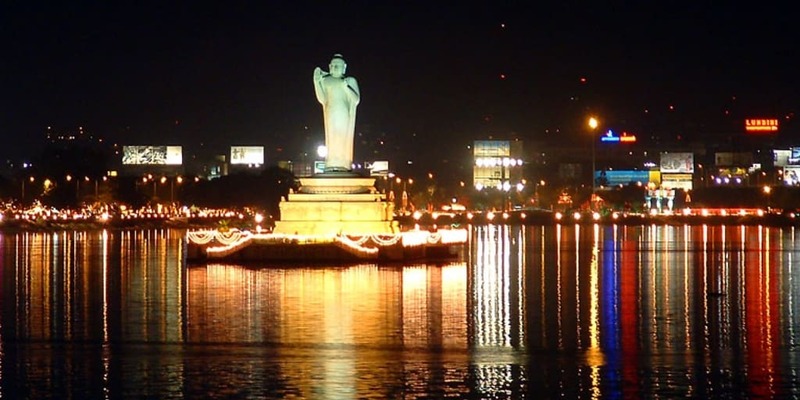 Hyderabad became the capital of Andhra Pradesh due to the state reorganisation act, 1956. It remained so till 2014. After much protest of people, political drama and controversies, the state of Andhra Pradesh was segregated into two. Due to this, Hyderabad became the joint capital of Telangana and Andhra Pradesh till 2025. One can easily see the imprints of the rule of Mughals, Britishers and other rulers in the city. The famous Charminar built during the Nizam rule is synonymous to the city, just like India Gate to New Delhi and Gateway of India to Mumbai. People identify the former princely state with its beautiful monument. Apart from this, the Golconda Fort is a major tourist attraction. It has the influence of Mughal sultanate on it and entails the entire story through its structure and giant built. It stands tall on the Indo-Islamic relationship with the kind of an architecture it inherits. A glimpse of Mughal and European styles can also be seen on the fort. In the year 2010, the government of India proposed it to the UNESCO as the world heritage. Chowmahalla Palace is another illustration of the majestic empire and heritage Mughals left for their successors. It was the throne of the kings who ruled. The royal courts and their ensembles speak the tales of its glory. Likewise, Falaknuma Palace scores big in the tourist attraction places. Today, it’s a five-star hotel property, which has hosted world known dignitaries at its disposal. The palace is greatly inspired by the renowned Italian architect Andrea Palladio. 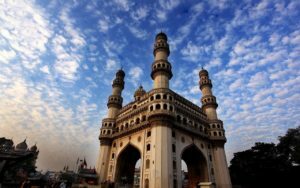 Hyderabad is not just limited to its history and heritage, but it has become an IT hub today. You can find several offices of IT companies from all over the world established here. People from different parts of the country come here for jobs. Not just that, due to the trade of pearls across the globe, Hyderabad is also known as ‘City of Pearls’.